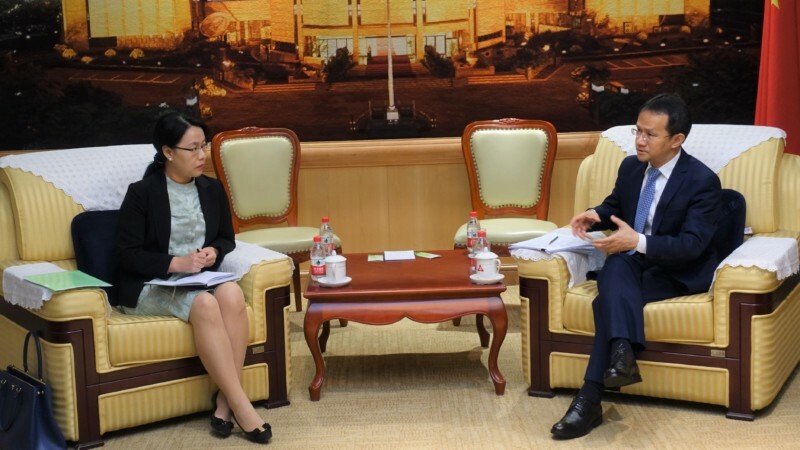 Chinese Vice Minister of Finance Dr. Yaobin Shi discusses with AMRO Director Dr. Junhong Chang, Chief Economist Dr. Hoe Ee Khor, and the mission team during the Annual Consultation Visit. Beijing, China, September 4, 2017 – The Chinese economy grew faster than expected in the first half of 2017, while risks to growth and macroeconomic stability in the near-term have also diminished partly as a result of regulatory and policy measures to rein in overcapacity and leverage”, according to the preliminary assessment by the ASEAN+3 Macroeconomic Research Office (AMRO) after its Annual Consultation Visit to the country during August 21 to September 1, 2017. The mission was led by Dr Chaipat Poonpatpibul, AMRO Lead Economist, and participated by AMRO Director Dr Junhong Chang and Chief Economist Dr Hoe Ee Khor. Discussions centered on prospects for growth, policies for maintaining macroeconomic and financial stability, and structural reforms. In the first half of 2017, the economy grew by 6.9 percent, mainly driven by expanding consumption, improving exports, and infrastructure investment. Growth is expected to remain robust but will moderate slightly in the second half of the year and to 6.5 percent in 2018. The growth momentum will be supported by further expansion in private consumption, the services sector, including the internet economy, and infrastructure investment. Meanwhile, the consumer price index (CPI) inflation is likely to stay at around 1.7 percent in 2017. In the near term, the likelihood of a hard landing is low as the economy is gaining traction and risks in the financial and property sectors have been mitigated. Overcapacity reduction has proceeded according to plans while growth of property prices in the first and second tier cities have moderated due to the measures imposed by the authorities. Near-term risks from capital outflows have receded mainly due to further signs of growth improvement. However, these risks could rise if the US monetary policy normalization proceeds at a faster-than-expected pace or growth in China were to weaken. Increased trade protectionism may hit China’s exports but the impact on the overall economy could be quite limited. State-owned enterprise (SOE) reforms have seen some further progress, but greater efforts to expedite structural adjustments are needed. In particular, a concerted effort is needed to implement the multi-faceted tasks in SOE reforms, including relying more on market forces, strengthening modern management, hardening budget constraints, removing burden in terms of social responsibilities, and enhancing mixed-ownership. Corporate leverage and associated vulnerabilities remain high in some sectors, such as mining, steel, and real estate. Although these problems are not likely lead to a systemic crisis, debt distress could emerge in some industries, which could undermine confidence in the economy and the financial sector. Therefore, comprehensive and targeted efforts are warranted to address these risks. The current proactive fiscal policy should be directed at strengthening structural and “supply-side” adjustments. We welcome the authorities’ efforts to cut tax rates and fee and simplify the VAT structure in order to improve incentives for firms to expand their businesses. Improving spending efficiency and investment returns continue to be crucial. Further efforts are encouraged to strengthen debt management and curb illicit borrowing, including those related to Public-Private Partnership (PPP). Efforts to strengthen regulation on off-balance sheet activities of financial institutions are commendable. Financial regulation and supervision should continue to focus on mitigating risks from rising interconnectedness and strengthening policy coordination among regulators. The current monetary policy stance in conjunction with tight financial regulation is appropriate to maintain macroeconomic and financial stability in the near-term. Active liquidity management and fine-tuning efforts will be important to help ensure that the deleveraging process would not entail excessive market volatility and a negative impact on the real sector. The mission team would like to express its appreciation to the Chinese authorities for their excellent assistance and hospitality. 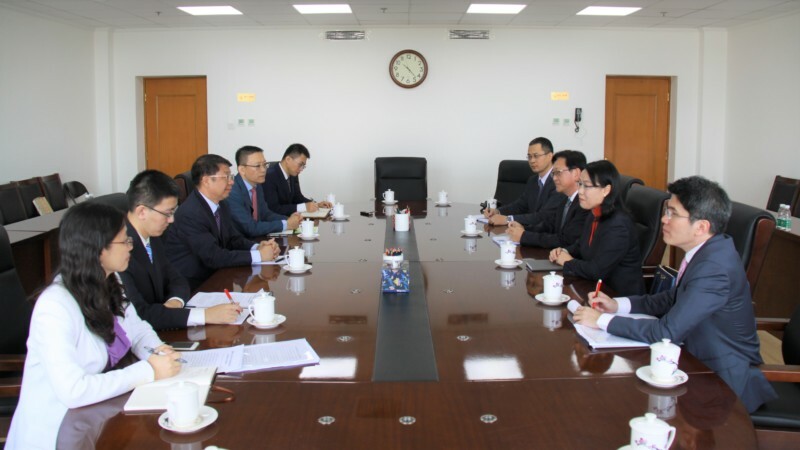 The consultation visit has deepened AMRO’s understanding of the current macroeconomic and financial situation, macroeconomic policy as well as structural reforms in China.